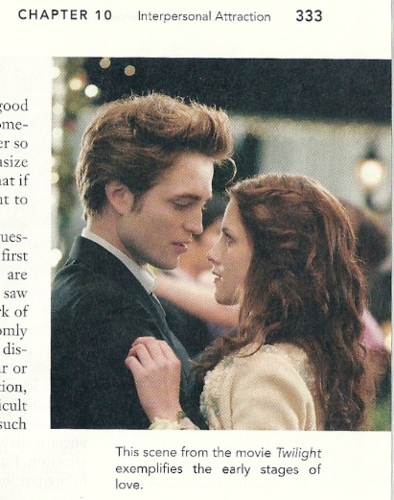 Twilight featured in a textbook. 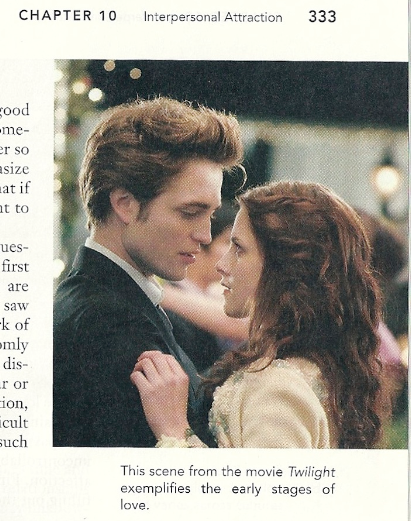 Edward and Bella depict interpersonal attraction. Wallpaper and background images in the Critical Analysis of Twilight club tagged: twilight movie series edward bella love interpersonal attraction textbook. This Critical Analysis of Twilight photo contains anime, fumetti, manga, and cartoni animati. There might also be giornale, carta, riviste, tabloid, straccio, rivista, ritratto, headshot, primo piano, and closeup. Some psychology book of sorts, it looks like. If my school has that textbook, I'm going back to Macedonia. I don't think it's likely they'd like Twilight there. I'm pretty sure Twilight has fans all over the world, in every country.